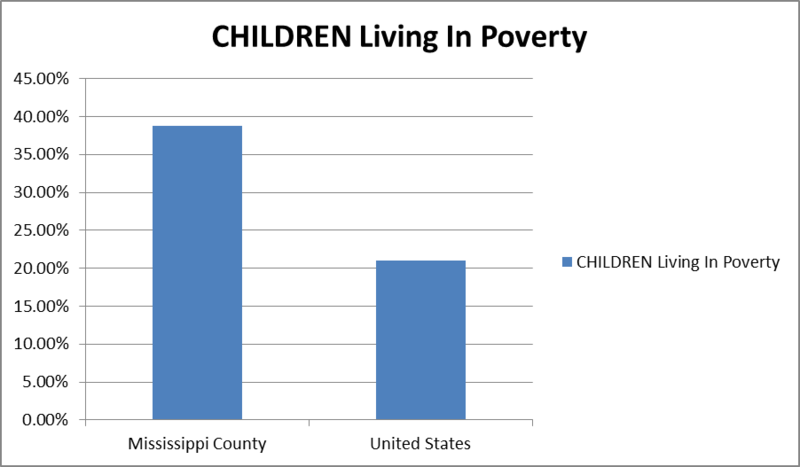 The population of people living in poverty in Mississippi County, Missouri has risen from 23.7% to 27.5% within the last 10 years. 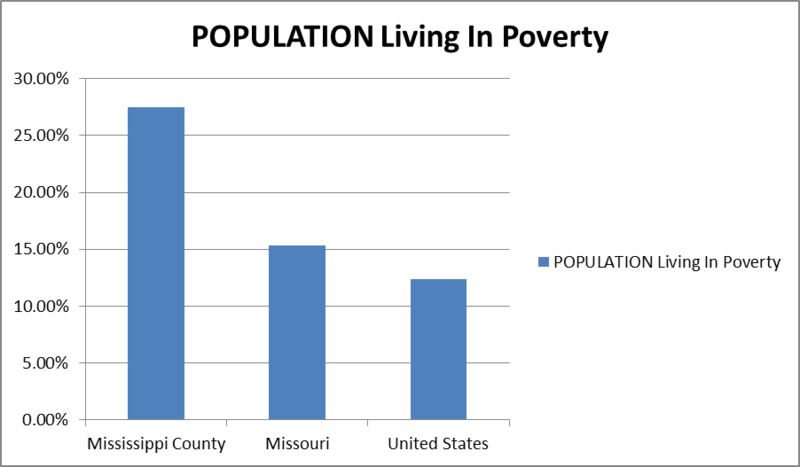 Poverty rates in Missouri has also risen from 11.7% in 2000 to 15.3% in 2010.Extreme economic and social deprivation has historically presented an overarching obstacle for nearly one-fourth (27.5% as compared to only 15.3% for the state) of the residents of Mississippi County classified as living below the poverty level. There are a significant number of children (38.8% in Mississippi County vs. 21.0% in the United States) living in poverty as well as a high number of single female household families 17.3% which is significantly higher than the national rate of 12.3%. These indicators are more elevated in the West End of Charleston and in the housing project areas of East Prairie. A large number of the housing units in the West End of Charleston and in East Prairie are public housing. 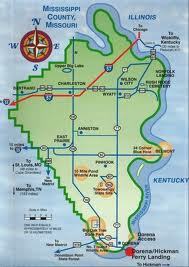 Substantial portions of housing in Mississippi County are rental units, 33.4%.